Lucia of Oaxaca: An immigrant’s story of what it truly means to never give up. After her son, Martin, was born, she made the decision that the two of them would immigrate to the U.S. with a small amount of money she was able to save up. At just sixteen years of age, along with sixteen-month-old Martin, Lucia crossed the border into California. On top of her physical exhaustion, she was living in fear. Her cousins told her that the helicopters in the sky were immigrant agents looking for illegal immigrants, and if she went outside they would get her; a falsehood that still baffles Lucia to this day. But at that time, she believed them. Living in constant fear, she kept Martin inside all the time and only went outside herself if she had to. The stress and fear wore on her and she decided to move out. With nowhere to go, she and Martin slept in a park in front of a cemetery. “It was our home for me and my son for almost a month,” she said with tears in her eyes. “It was hard. I was crying everyday. I was asking for money because at the time I didn’t have any food for my little one. And I didn’t trust anyone.” She prayed that the “immigration helicopters” wouldn’t see them. One day, she saw a woman in the park and Lucia thought, “Maybe I’ll ask her for something to eat.” The two began chatting. “Where do you live?” asked the woman. “Right here in the park,” replied Lucia. The woman, who Lucia learned was named “Connie”, began crying and immediately called her husband to ask if Lucia and Martin could stay with them. He accepted. Connie gave them a room in their house, as well as a job at the cleaning business that she owned. “It was my big opportunity,” said Lucia. Her new schedule was daunting: Wake up at 4 am and work for the cleaning business until 3 pm. Come home and cook and clean for Connie. At 5 pm work a shift at a restaurant until 11 pm. Repeat. Lucia’s husband would get angry with her son Martin and spank him. It wasn’t a good situation. Lucia knew it was time to leave. Lucia is quick to admit that she’s made mistakes in her life. But unlike most, she doesn’t let her mistakes tear her down. She says that with every mistake came an opportunity. Lemons into lemonade. No regrets. She had to keep moving forward. She began working at a waste management company and then at a farm picking berries and feeding pigs and horses. During this time, her mother was diagnosed with cancer and was given six months to live. She passed away two months after the diagnosis. Lucia was devastated, but knew she had to keep going; keep fighting for her and her children’s futures. She started dating a new boyfriend, but their relationship turned gravely dangerous. “He almost killed me,” said Lucia. She stated that she ended up in the hospital but didn’t go into details, as it is still difficult for her to talk about. She was unemployed again, and now had a family of her own to support; a family that she would work herself to death for. Lucia is tough as nails. When others beat her down, she rose up higher, like a seed from fertile ground. “My kids need me. I need to work more. I need to do double! Triple!” she remembers. Over the next seven years, she bartended at a restaurant and met a good man named José, who she is still married to. 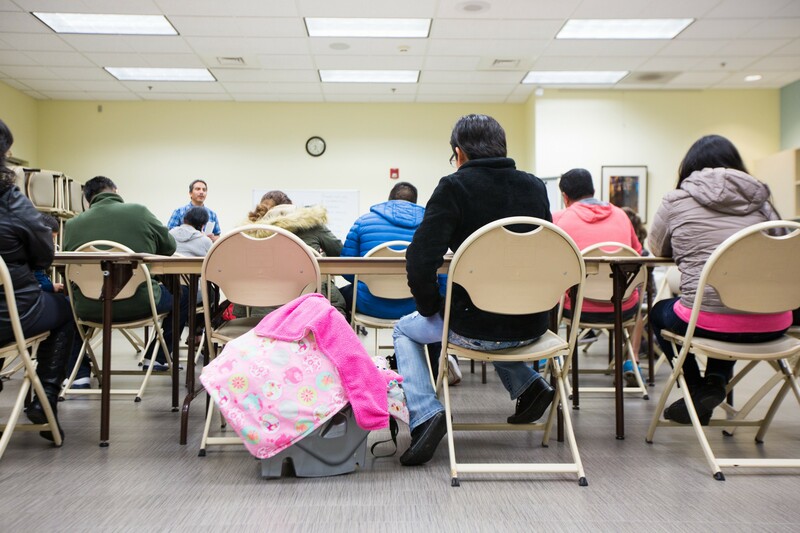 When Lucia received her Green Card, she went back to Mexico to visit her family and friends. It was there that she noticed the beautiful products that the artisans of Oaxaca were making: clothing, jewelry, pottery and more. That’s when it hit her; she could bring their products back to the U.S. and sell them. 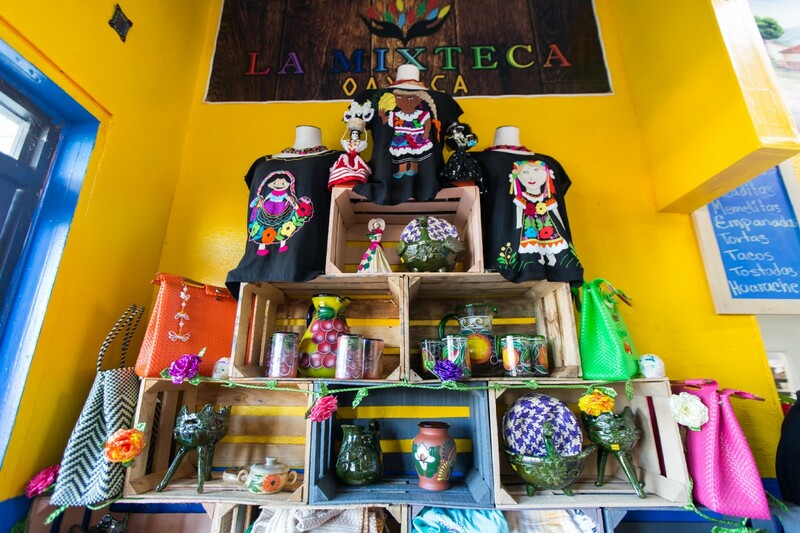 Handmade gifts from Oaxaca, Mexico. 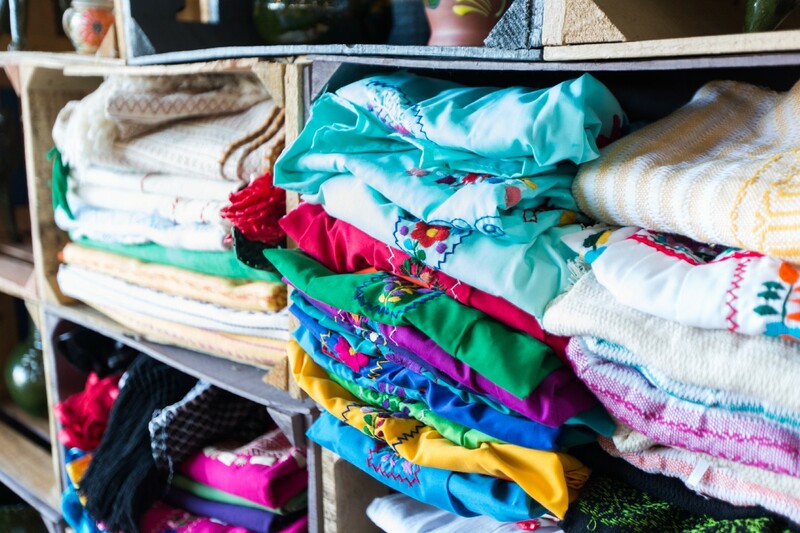 She brought a few things back and sold them at a small market in Hillsboro, Oregon. She sent back money and things like medical supplies to her friends in Mexico to help them. “When I see somebody happy, I’m happy.” she explained. She was making ends meet by bartending and selling small amounts of Oaxaca goods in her spare time, but she wanted to sell more — help them more — while making a living for her family. 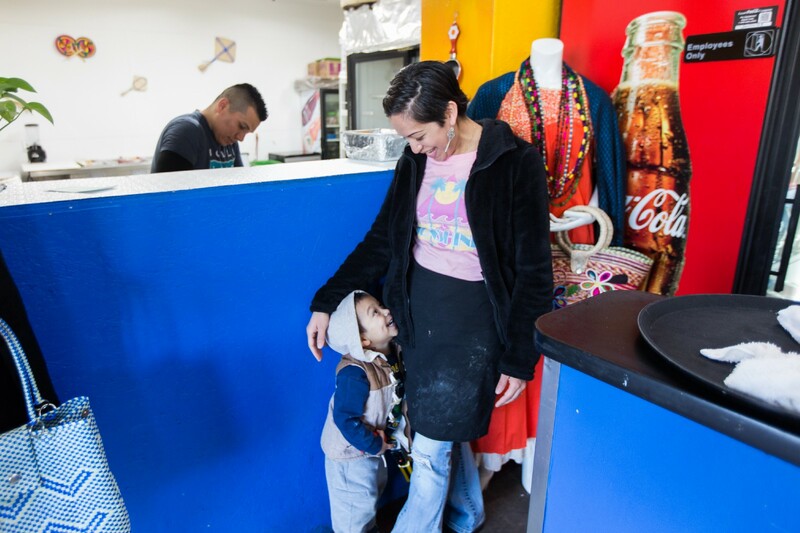 Her husband and friends began pushing her to start a restaurant because her food was delicious, and Lucia knew she could sell Oaxaca gifts in the restaurant. 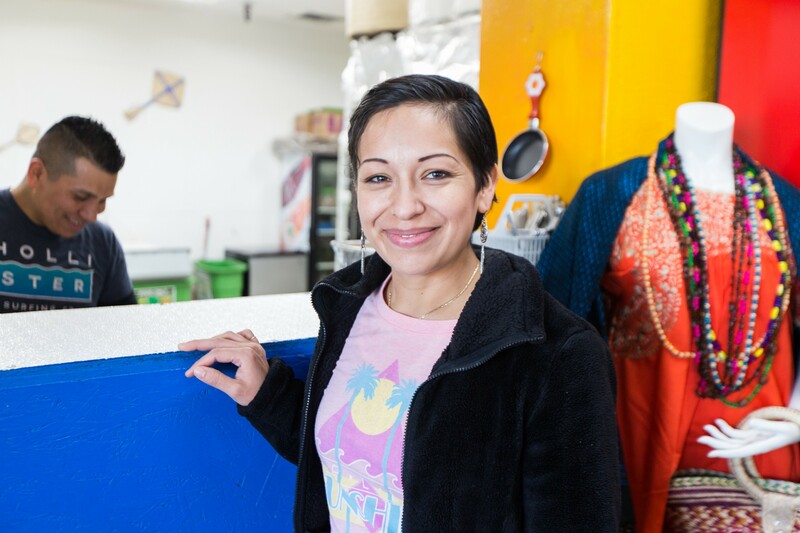 When a friend at the market told her about classes she was taking at Adelante Mujeres, Lucia immediately looked into our Empresas Small Business Course and enrolled. 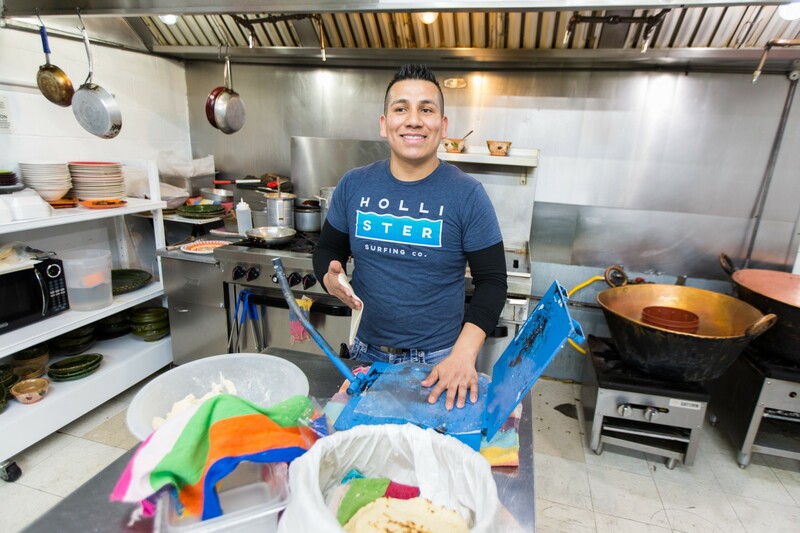 Our Empresas Small Business Program empowers Latino entrepreneurs to reach their dreams of owning their own business through business classes (taught in Spanish), technical assistance, individual coaching, and access to capital and market. 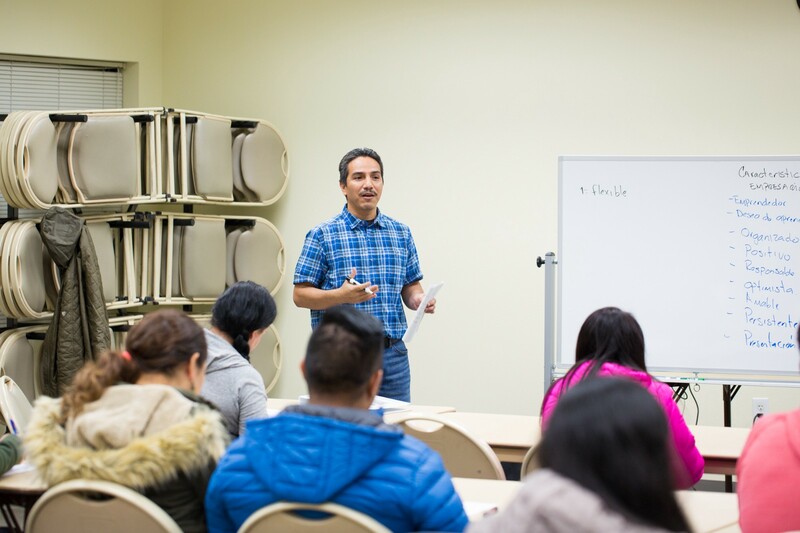 Javier Urenda, the Empresas Small Business Program Manager, teaches a class. Javier Urenda, who runs the Empresas Program, graduated from the NALCAB (National Association for Latino Community Asset Builders) fellowship program, and is now passionate about serving Latino communities in a unique and ground-breaking way. 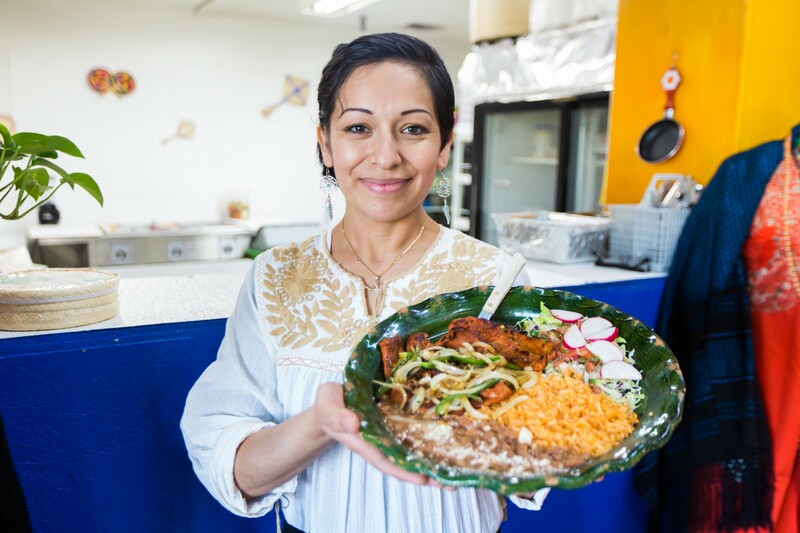 After graduating from our Empresas Course, Lucia and her husband opened La Mixteca Oaxaca, a restaurant nestled in the back corner of a grocery store in Hillsboro. Lucia’s restaurant, La Mixteca Oaxaca. 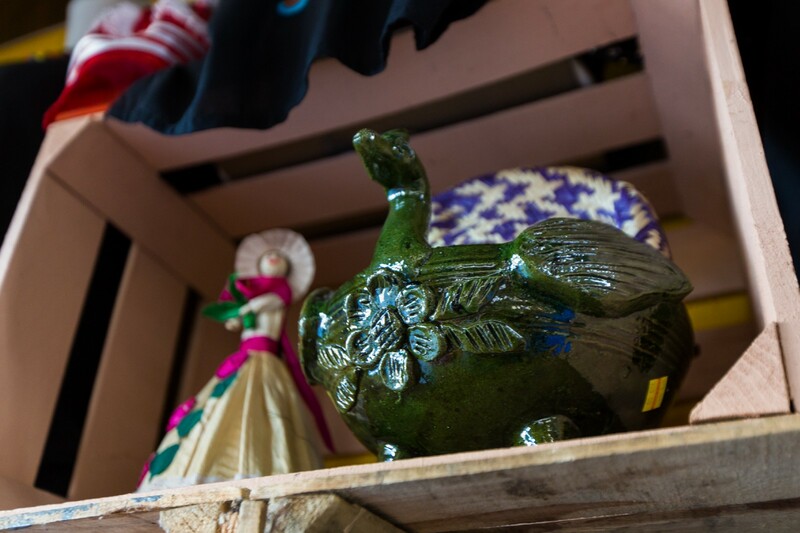 Tucked inside the restaurant are shelves and cases full of beautiful handcrafted gifts from Oaxaca. 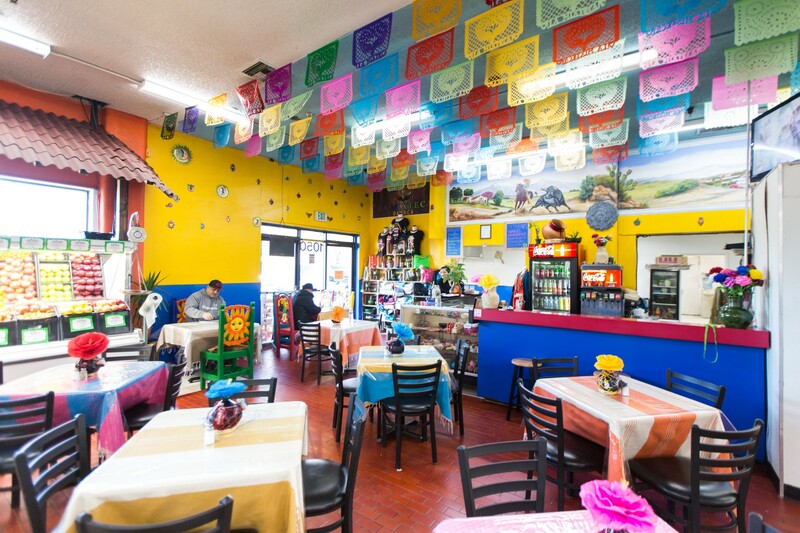 The space is cozy, with a handful of tables placed around the room and vibrant colored walls with the smell of sautéeing onions and fresh tortillas in the air. She wants her restaurant to feel like home, with the flavor, music, tradition and colors of Oaxaca. She even serves her dishes on plates made in Oaxaca. 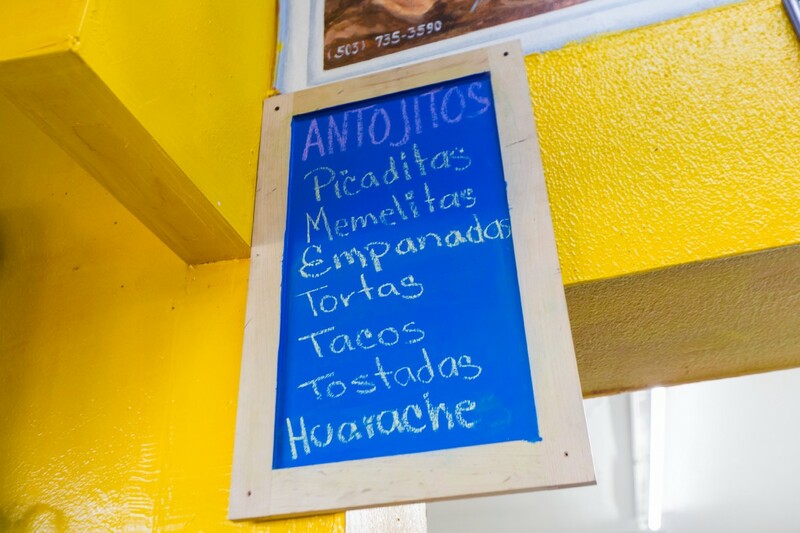 Lucia’s husband, José, makes handmade tortillas. “Empresas helped me a lot. Javier helped me a lot. He helped me almost all the time. When I need something, he’s always there. He’s my teacher!” said Lucia. Lucia and her son, Raphael. 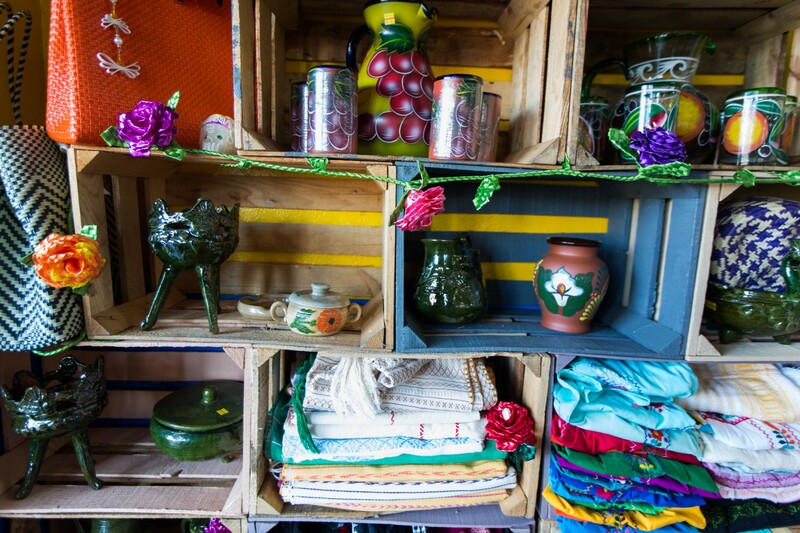 “My goal is still there, to own a BIG restaurant.” Her next step is to secure a larger space where she can sell more Oaxaca gifts, helping more of her friends in Mexico. 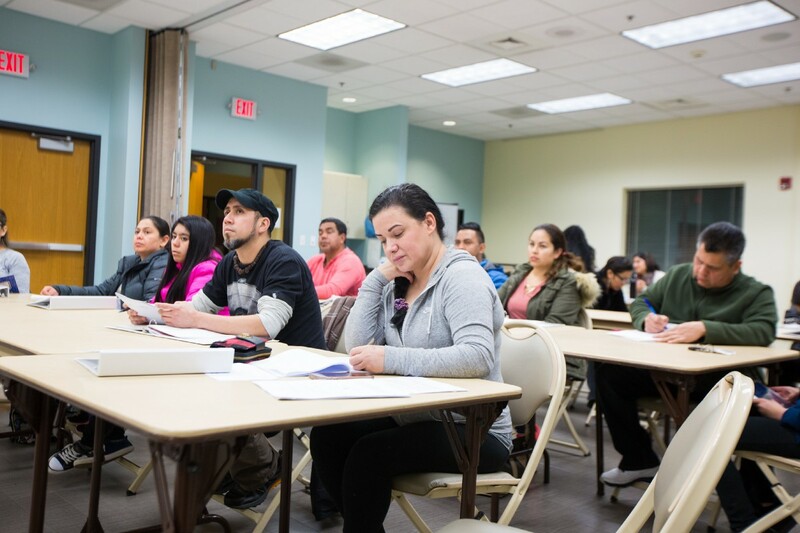 To reach her ‘big goal’, Lucia is currently enrolled in our Cocinemos Course, an initiative of the City of Hillsboro in partnership with Adelante Mujeres. The class is aimed at taking a deeper dive into the food industry. 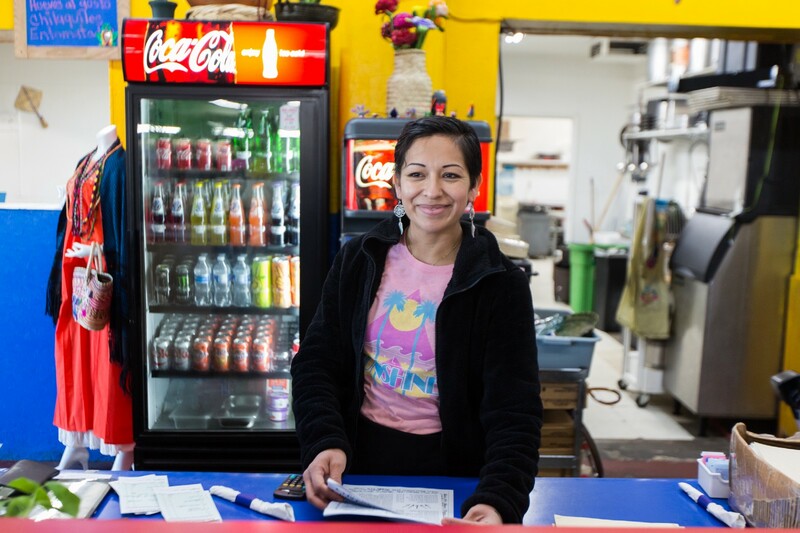 “I saw the necessity of these participants having access to a commercial kitchen, being in compliance with the regulations from Washington County and the difficulty that they have finding a place to sell their food, such as community events and farmers markets,” said Javier. 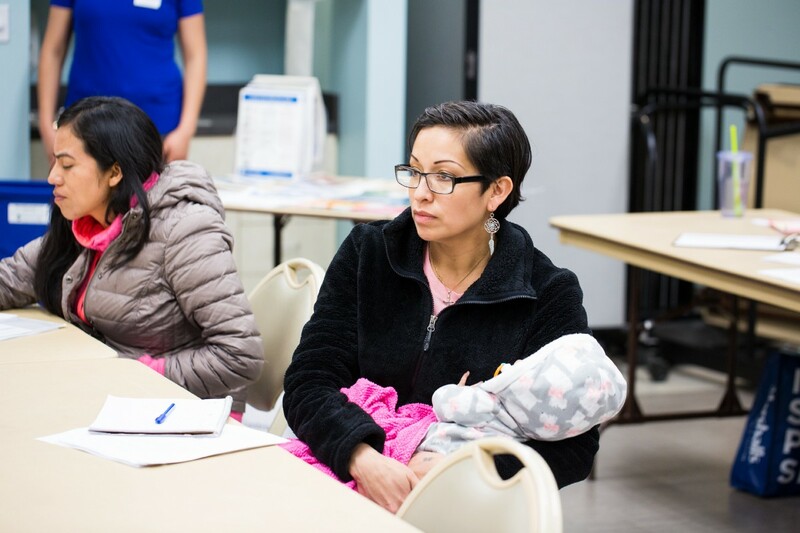 Lucia attends the Cocinemos class with her newborn baby daughter. Lucia redefines what hard work means. She continues to work seven days a week, reaching further and higher than the day before. Adelante. 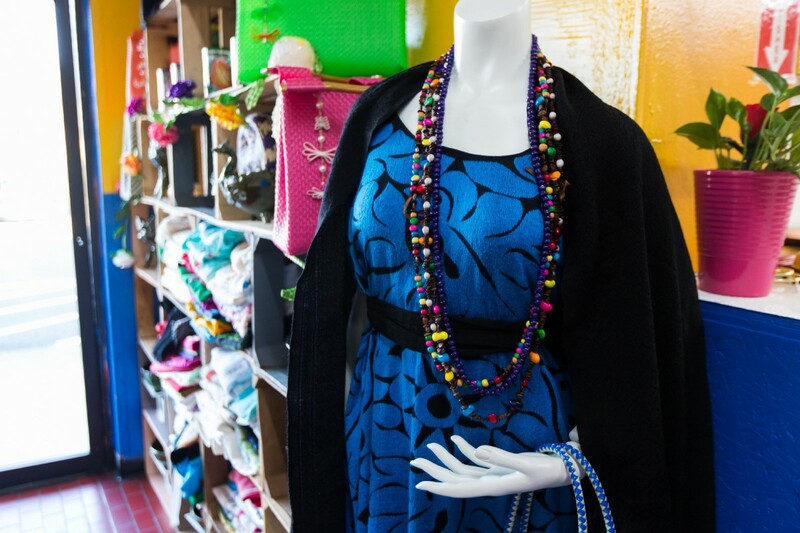 To support the education and empowerment of women like Lucia, visit adelantemujeres.org.